With this 7/8 oz. 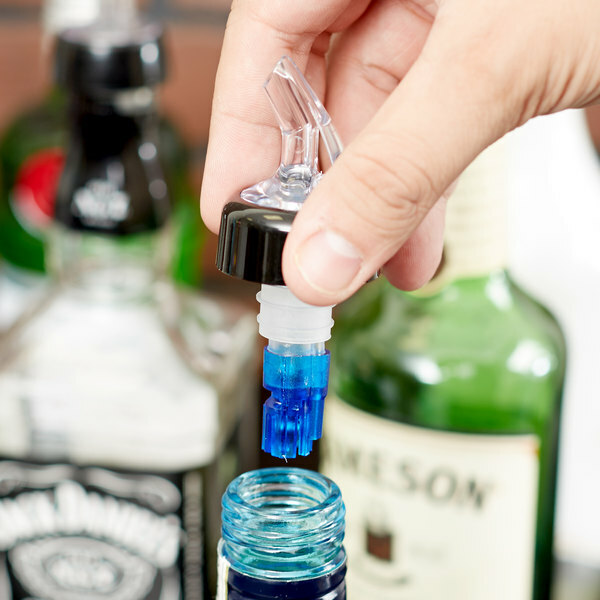 measured liquor pourer, preparing mixed drinks has never been easier. The ball bearings inside this durable pourer ensure fast but measured pouring with approximate portions and less spillage. 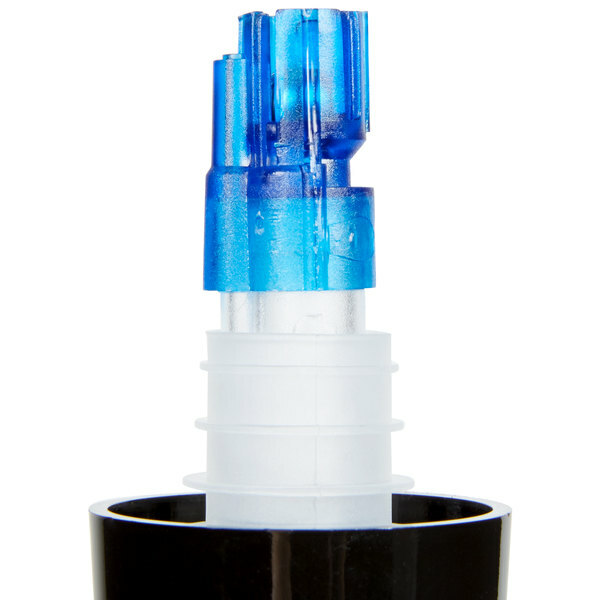 Each pourer features a clear spout that will disguise wear and tear, and a blue tail to easily distinguish it from liquor pourers of different sizes. 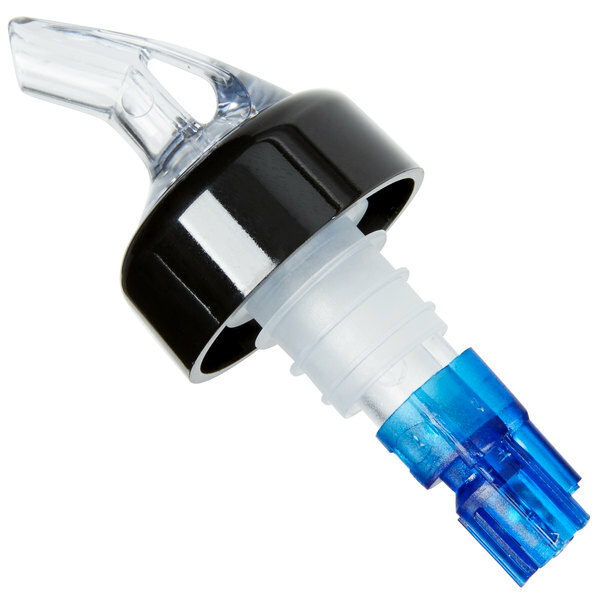 It has a secure black collar and fits standard size liquor bottles. Also works well with bar juices and drink mixes. What a great product, for that perfect pour. 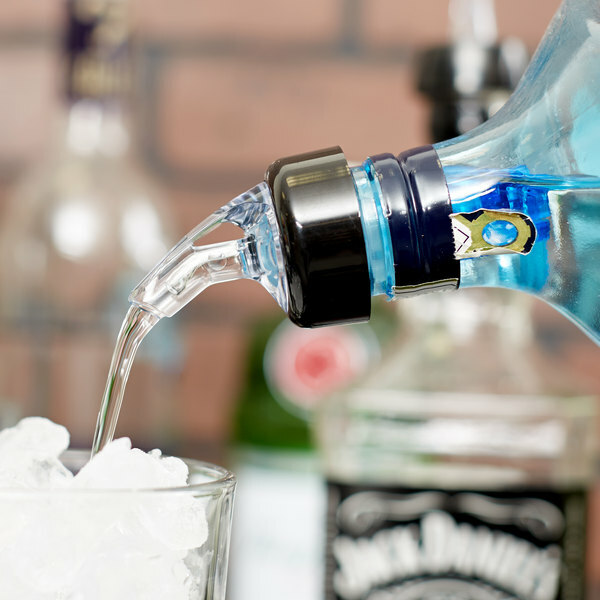 Make every drink consistent and stay consistent with each employee. Helps with over pouring and under pouring. Just watch when the botton breaks the metal balls falls into the bottle.